What do you do when your South Austin, TX, back yard is full of mosquitoes and you have no outdoor living structures except a small concrete slab out back? This is not a hard question, is it? 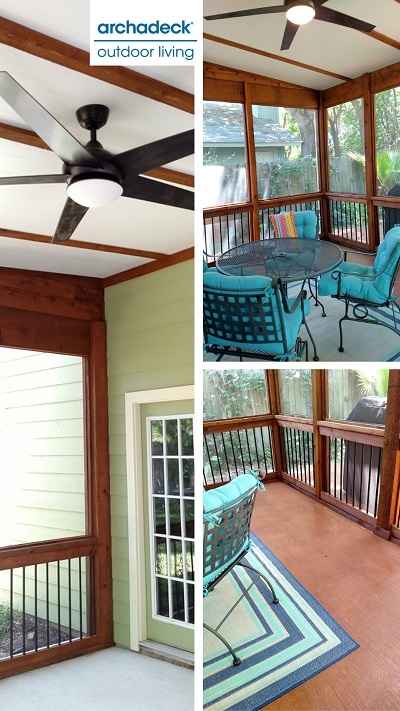 You trade that little concrete slab for a reasonable-size screened porch, right? Yes! These homeowners were renovating quite a few aspects of this older home, and adding a screened porch was high on their list. Their back yard stays moist so mosquitoes were a constant problem. 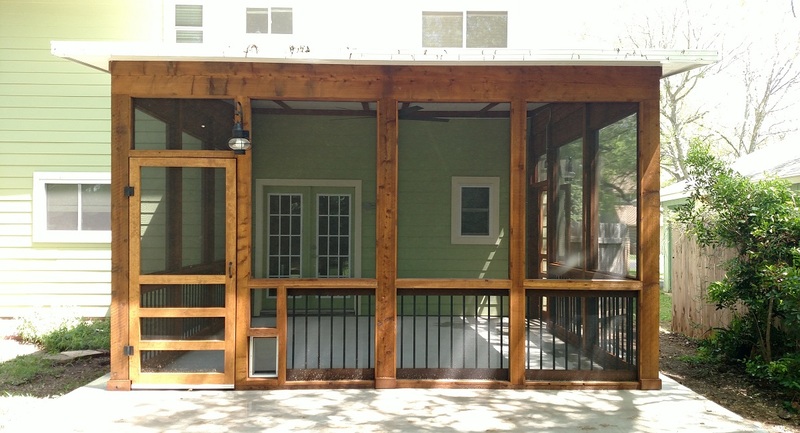 Their budget was a consideration, so Austin porch builder Archadeck of Austin worked with them to design a porch that met their needs and stayed within budget. 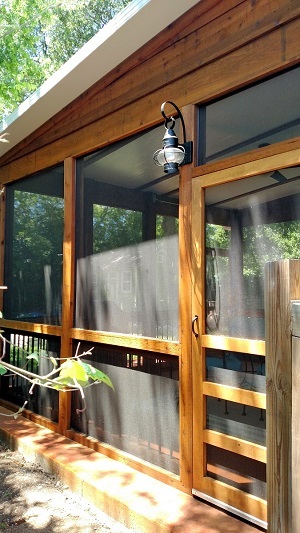 We designed and built this beautiful cedar-framed screened room for them, just the right size. We removed the existing concrete slab and poured a new, larger one. As usual, before pouring concrete, we dug trenches for conduit to lay electrical wiring so the homeowners could have outdoor lights and a ceiling fan on the porch. Then we laid steel rebar to stabilize concrete the floor and give it a longer life. Budget roof and ceiling look great! Archadeck of Austin is always sensitive to budget issues. One way we kept costs down on this project was to use a metal roof cover. The roof is made of aluminum panels with interlocking seams. Without intervention, these seams would show from the inside and wouldn’t look great. We added 1×4-inch strips of wood covering each seam in the ceiling to give the appearance of a finished, seamless ceiling. A porch a dog can love, too! The homeowners were a little concerned that their dog might run into the porch screen and cause some damage there. To protect the screen in the area of the dog’s height, we added a railing and balusters at 4-inch intervals on the inside of the screen, all the way around. Finally, Fido also gets his own door. Can you spot the doggie door next to the people door? 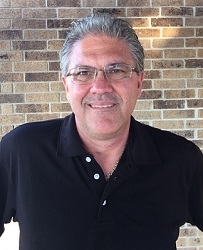 If you’re in need of a screened porch, or a new porch and patio combination project, contact Archadeck of Austin at (512) 259-8282 or via email at [email protected] to schedule a free design consultation.